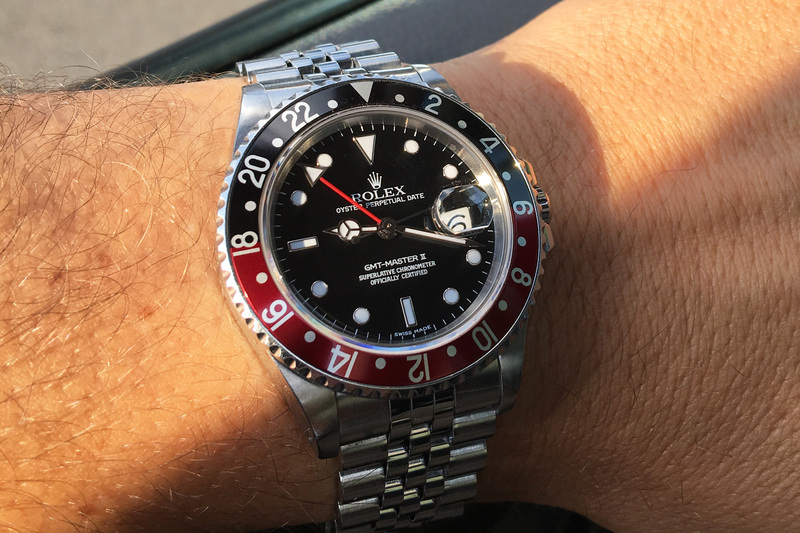 This is a first owner 16760 GMT-Master aka ‘Fat Lady’ aka ‘Sophia Loren’ These nicknames were given to this particular reference because of the much thicker Oyster case with it’s more present curves, curves that reminded or represented the behind of actress Sophia Loren… Whatever the story, these nicknames stick to the watch till this day. This ‘Fat Lady’ had a good life! She was taken good care of and all her boxes and paperwork were neatly collected. She visited the Rolex Spa frequently and kept her appearance up! Some years ago, by request from the first owner, the Tritium dial was replaced by Rolex for a Luminova one, why? Because the previous owner is a KLM Airline Pilot and used this GMT what is was intended for and needed to ‘read’ his watch in the sometimes low light or dark conditions of his cockpit… A true Toolwatch! 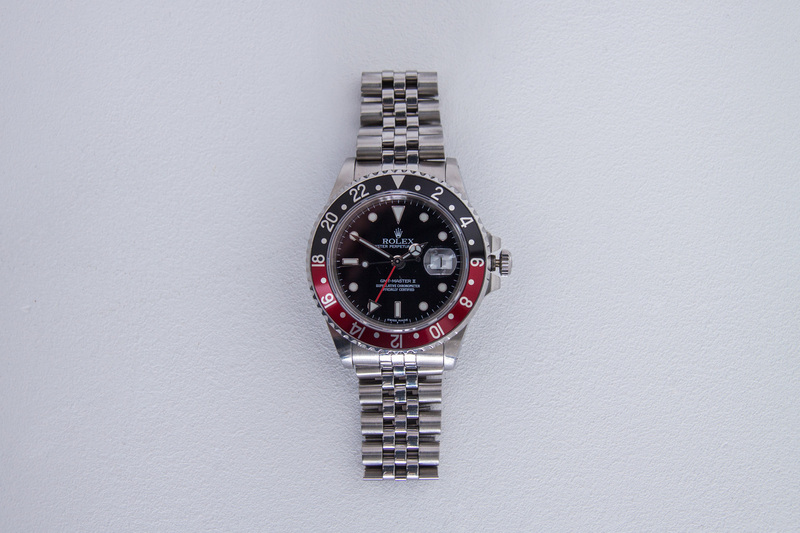 The 16760 is fully serviced and comes with a one year warranty. box and papers: yes, including Rolex Service Center booklet en card, hangtag etc.etc.